The choice between investing in duplexes versus single-family homes comes down to return on investment. Investing in real estate is a good way to diversify your investments and reduce the overall risk factor of your investment portfolio. The right real estate investment option for you, however, depends on your long-term financial goals and the time you can allot to property management and maintenance. If you already know that investing in large, multi-family apartments isn’t for you, consider a duplex or a single-family home. A vacant single-family home affects your bottom line more significantly than a vacancy in a duplex, because there is no way for you to offset the vacancy like there is when you have two rental units. Property insurance rates for a single-family homes are about 15 percent to 25 percent lower than the cost to insure a duplex, according to San Antonio Realtor Darrell Drouillard. When it does come time to sell your investment, reselling a duplex may take longer, because there is generally less market demand for duplexes than for single-family homes. On the other hand, however, duplexes generate more cash flow over the time you own the property. Home values for the area in which you live will always determine the amount of your initial investment. In general, however, you can expect to invest more in a duplex than a single-family home if you want homes of the same quality. For example, in a 2012 article, the Moxie Realty Group of Austin, Texas, reported a 25 percent difference between the selling price of a single-family home and a duplex in the same neighborhood. Using this example, if a single-family home was priced at $225,000, a duplex would be priced around $281,250. The good news is that both would qualify for residential rather than more costly commercial financing. 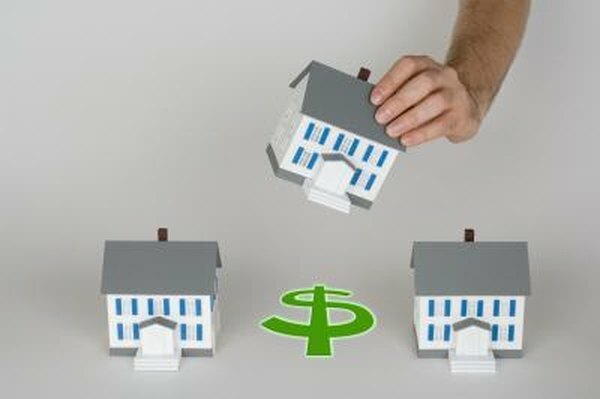 A main objective of any direct real estate investment is monthly cash flow generation. Vacancies reduce collection rates, which in turn affect monthly cash flows. This marks one of the most significant differences between investing in duplexes versus single-family homes. Although the chance exists that you’ll have both sides of a duplex vacant at the same, a more likely scenario is that only one side at a time will be vacant. This isn’t the case with a single-family home, however, because if your tenant moves out, the home is 100 percent vacant. If one side of a duplex is vacant for two months, you’ll have collected 22 of 24 rental payments, and the collection rate for the year will be 92 percent. If a single-family home is vacant for two months, however, the collection rate drops to 83 percent. The decision of whether to invest in duplexes versus single family homes all comes down to which will produce the better long-term return on investment. The condition of the property, tenant quality and appreciation potential all play a role in determining your ROI. A good idea is to decide in advance the minimum ROI you require and then calculate and compare capitalization rates for the duplexes and single-family homes you are considering. The equation for calculating capitalization is annual net income divided by the purchase price. The higher the cap rate, the less you can expect to profit from the investment. Moxie Realty Group: Should Your First House be a Duplex? How Much Does a Big Sale in the Neighborhood Affect My Home Value?